So, you’ve got yourself a fine pair of dress shoes, now what? Cedar shoe trees not only help to draw out moisture (read: perspiration) from your shoes after a day in them, but they also maintain the shoe’s shape and structure when they are not being worn. 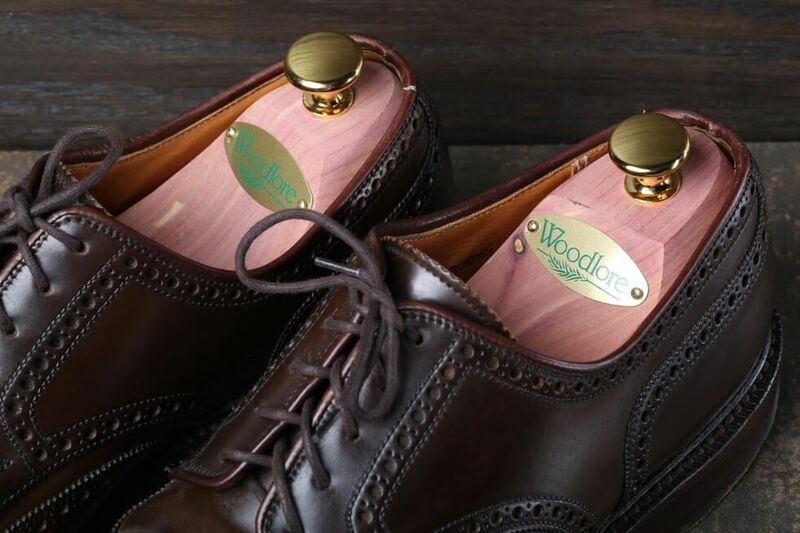 The Woodlore Epic is a fine example of a quality pair of shoe trees—made of unpolished cedar (to draw out maximum moisture and smells great), fully contoured heel (gives full support to the heel area unlike other shoes trees), expandable crown (adjusts itself to wide/narrow shoe lasts), and polished brass knobs (for that classy look). Smooth out those creases at the fore of the shoes and extend their life with these shoe trees! Want: A very well-made pair of shoe trees that will fill out your shoes perfectly and make them last longer.